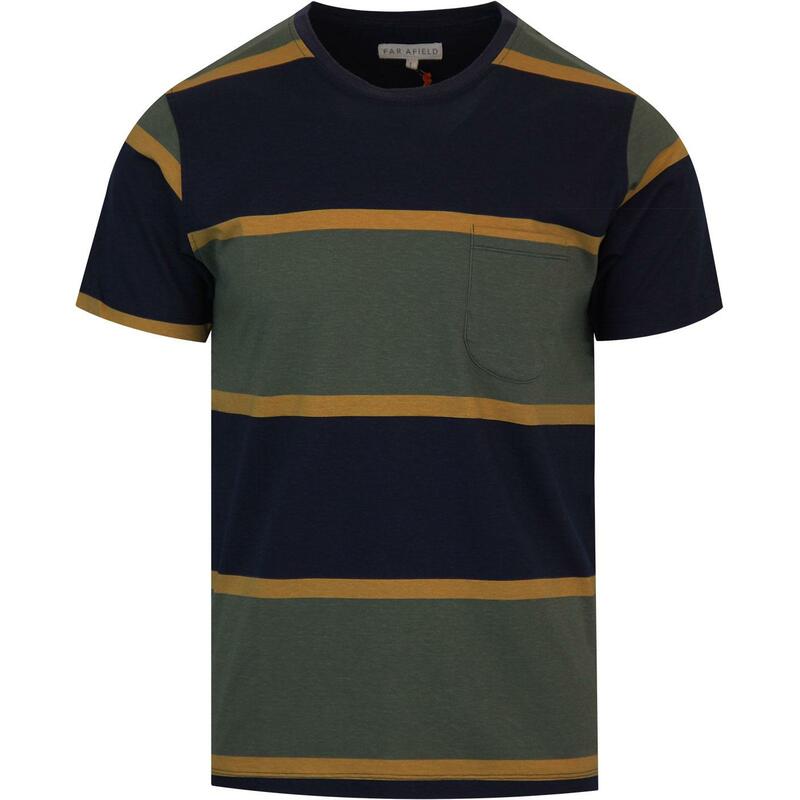 Far Afield 'Dos Stripe' men's retro colour block stripe t-shirt in Beatle Green, Navy and Yellow. The classic crew neck retro tee with a vintage slub marl textured finish. The striking colour block stripe construction is almost Mondrian-esque with an eye catching seasonal palette offering an autumnal feel. The Far Afield Dos Stripe men's t-shirt will add a cool mod edge to any casual ensmeble. The Far Afield Dos Stripe indie t-shirt is finished with a neat patch pocket detail to the chest. 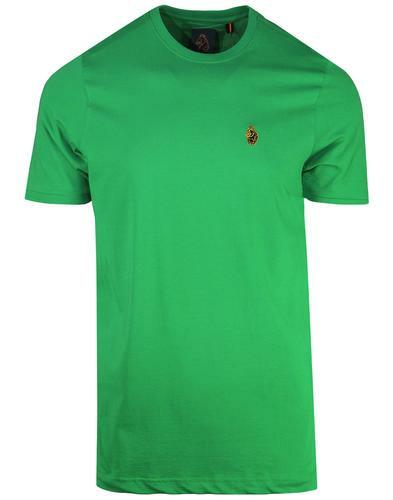 Far Afield 'Dos Stripe' men's retro colour block tee in Beatle Green. Slub marl textured fabric finish. SKU: AFTS041 Dos Stripe Tee.